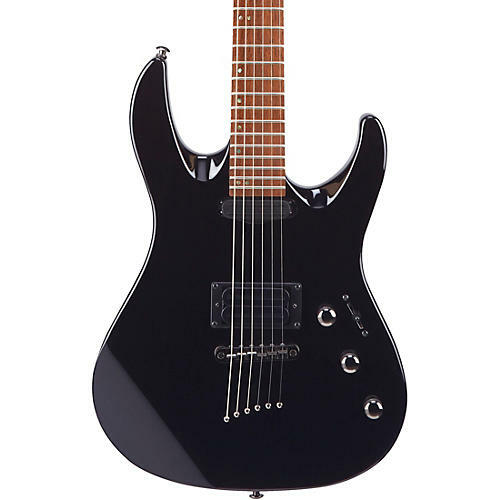 The affordable Mitchell MD200 offers a double cutaway basswood body and a one-piece maple neck. For a modern sound, there's a rail-style ceramic humbucker in the bridge and mini-rail humbucker in the neck position. They both provide a more consistent magnetic pull versus standard pole pieces, enhancing overall tone and sustain. High-ratio tuners allows for precise tuning control. 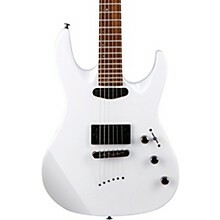 The MD200 also includes a flatter neck radius, which allows for easier fretboard gymnastics. For even more sustain and articulation, the MD200 comes with string-through body construction. All Mitchell electric guitars receive a complete stateside setup and quality control inspection to ensure exceptional playability. Available in Black (BK) and White (WH). Case sold separately.